GREENSBORO, N.C., USA, February 27, 2018 – Tune in to “FarmHer on RFD-TV” this Friday, March 2, to see how former X-ray technician Sue McCrum helped turn a century-old farming operation into a potato empire. Sue didn’t grow up on a farm; she married into ag life. Her husband, Jay, worked on a family farm in Mars Hill, Maine, which had been in operation since the 1880s. Together, in 1972, they took over the farm and oversaw about 65 acres of potatoes. Since then, their farm has increased to about 12,000 acres, and their business has become a full operation, complete with its own transport company and potato processing plant. These days, their potatoes are used in McDonald’s® french fries, Lays® and Cape Cod® potato chips, and more. Sue did everything she could to help out on the farm while raising three kids. 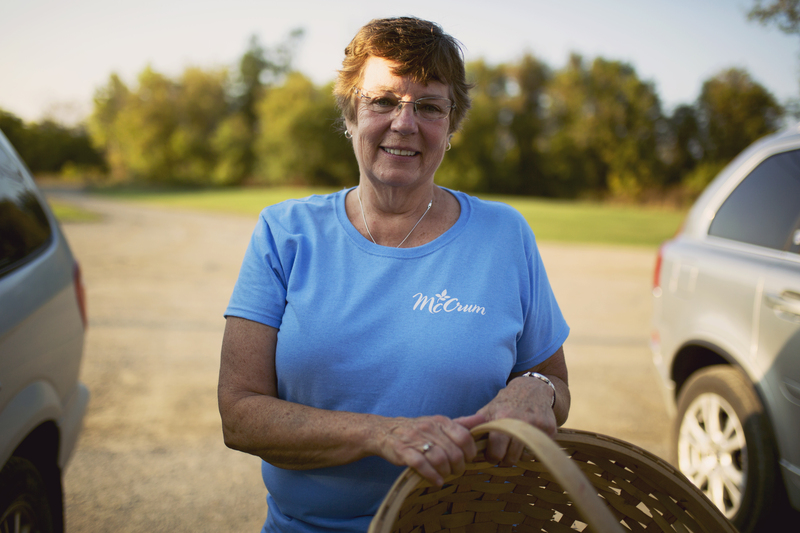 She helped at harvest, drove tractors and kept her family well-fed as they worked the land. In recent years, Sue and Jay have taken a step back from the farm, leaving her sons and nephews to lead the charge. In her newly won free time, she remains active in other areas of the ag industry. Sue helped found the Agri-Women organization in Maine and went on to become president of the national organization. She also participated in Syngenta leadership programs. Syngenta, the presenting sponsor of “FarmHer on RFD-TV,” is proud to feature McCrum as a FarmHer. She is a leader in her family, her work and her community. Tune in every Friday at 9:30 p.m. Eastern time for new episodes of “FarmHer on RFD-TV.” For more information, please visit RFDTV.com. Viewers should check their local listings to find RFD-TV in their area. For more information about the Syngenta sponsorship, please visit www.syngentathrive.com. Syngenta is a leading agriculture company helping to improve global food security by enabling millions of farmers to make better use of available resources. Through world class science and innovative crop solutions, our 28,000 people in over 90 countries are working to transform how crops are grown. We are committed to rescuing land from degradation, enhancing biodiversity and revitalizing rural communities. To learn more, visit www.syngenta.com and www.goodgrowthplan.com. Follow us on Twitter® at www.twitter.com/SyngentaUS. Founded in 2013 to update the image of agriculture to include women through imagery, FarmHer has become a multi-faceted source of inspiration and connection for women in all types of agriculture. FarmHer images are shared through social and traditional media, updating the image of a farmer and rancher to include the women who have always been imperative to growing food and fiber. Additionally, FarmHer impacts women through national events, a weekly TV and radio show, podcast, and lines of merchandise. See more and join the journey at farmher.com. RFD-TV is the flagship network for RMG. Launched in December 2000, RFD-TV is the nation’s first 24-hour television network featuring programming focused on the agribusiness, equine and the rural lifestyle, along with traditional country music and entertainment. RFD-TV produces six hours of live news each weekday in support of rural America and is a leading independent cable channel available in more than 50 million homes. ©2018 Syngenta, 410 Swing Road, Greensboro, N.C. 27409. Thrive® and the Syngenta logo are registered trademarks of a Syngenta Group Company. All other trademarks are the property of their respective owners.